Conveniently located in mid-town Manhattan near all public transportation, our 2,000 sq ft studio is in the world famous “Music Building”, former musical home of Madonna, The New York Dolls, and Aerosmith to name a few. Our studio was most recently used by the band The Strokes. We have two main soundproofed rooms with full backline, two adjoining practice/lesson rooms, and communal rooms where the kids can create and be inspired. 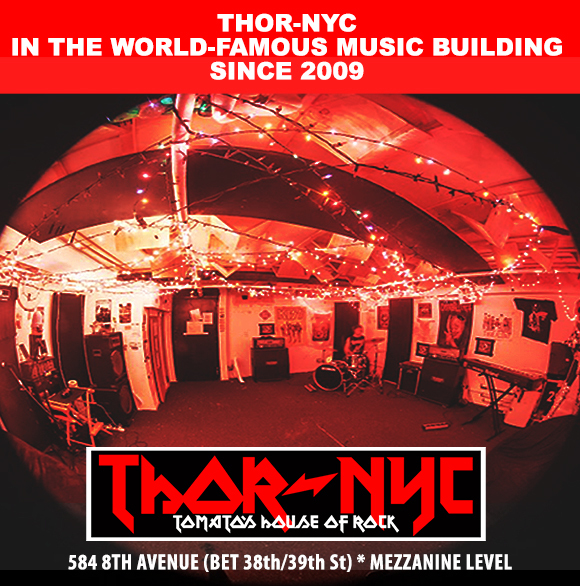 THOR uses only pro equipment including Mesa Boogie, Sabian, Mapex, and more. – access to all THOR events, concerts, workshops, etc. CALL US TO SIGN UP OR FOR MORE INFO – 917.426.9111!